Rationalized services make for happy customers. We believe in the power of a strong combination of service and software. CYS Services offers you the best software solutions available worldwide, to enable you to offer the best possible service to your customer. This will make your customer even more enthusiastic. Freshdesk offers your customer service all the tools they need. We capture and monitor every question of your customer. Through smart automation, Freshdesk increases the productivity of your employees and creates overview and control in the communication with your customers. Companies are growing faster and faster and the IT-sector is constantly evolving. This requires flexible IT-support. Freshservice, the ITIL-compatible servicedesk in the cloud, helps you deliver the most effective service to colleagues and customers. Companies often have a CRM system, but it is not always clear at a glance how the current sales process is going. 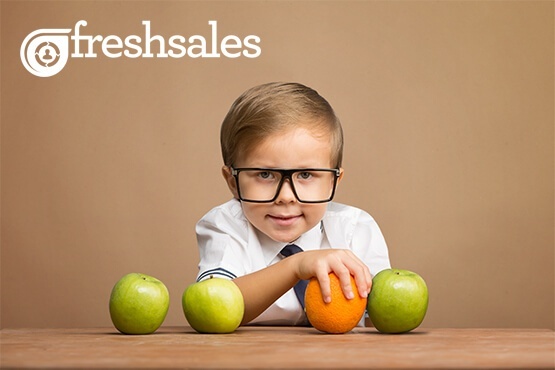 Freshsales is a simple system that combines customer data and sales data with each other in a convenient whole. It is also possible to call and to mail from within the system, allowing your sales employees to work more efficiently. Try Freshdesk, Freshservice and Freshsales, now 30 days free!